Last month, we reported that Cash Cab was aiming for a revival, courtesy of its old home channel at Discovery. The new show will feature all sorts of tweaks to the formula, including “social media shoutouts,” and the terrifying ability to stop pedestrians on the street and make them help you answer trivia. What it doesn’t have yet is a host, something Ben Bailey himself has apparently noticed. The Emmy winner did his own call for social media support shortly after the news broke, rallying his followers to demand that he be placed back in the glistening info-womb where he spent six cash-dispensing seasons. The responses were swift, with many insisting that there could be no Cash Cab without Bailey. Indeed, that Ben Bailey was Cash Cab, a terrifying hybrid of man, carefully pre-screened contestants, and cheerfully flashing lights. 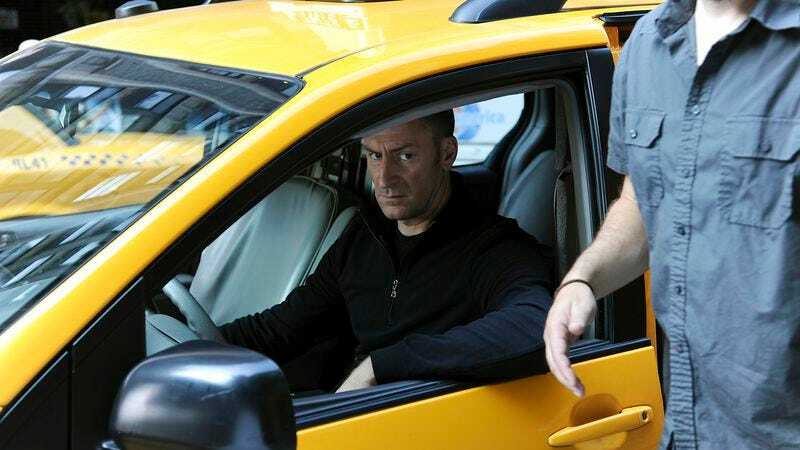 Discovery has suggested it might recruit a team of guest hosts to fill the Cash Cab master’s duties; if so, it’s always possible that Bailey could return for a nostalgic stint. Still, it is the way of things: Children outgrow their parents. Baby chicks leave the nest. And no Cab of Cash can stay solely one man’s forever.